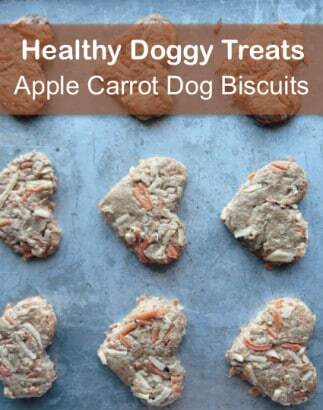 Your pooch is going to thank you for collecting this recipe from Reluctant Entertainer. Our pup loves raw apples and carrots and so these healthy dog treats are one of his favorites. We use all organic and GMO-free ingredients when we make them. The prep time runs about 15 minutes and it’s not a complicated recipe to follow. We doubled the recipe the last time we made them and froze half. We’ll do it this way again.